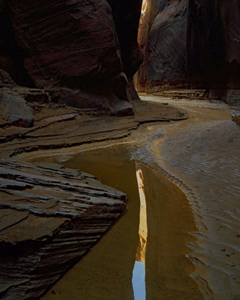 Buckskin Gulch, Paria River Canyon, Vermillion Cliffs Wilderness, Utah, copyright 1969 Philip Hyde. Baby Deardorff 4X5 large format view camera. 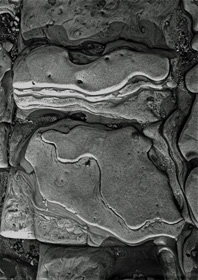 Buckskin Gulch is the featured image on the announcement for The Legacy of Ansel Adams and Minor White show. 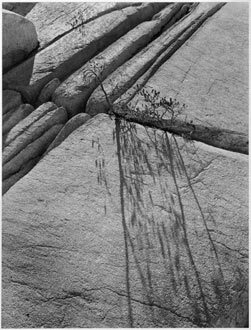 Photographs by Ansel Adams, Minor White, Philip Hyde, Bill Heick, Charles Wong, David Johnson, Benjamen Chinn, Ira Latour, Zoe Brown, John Upton, Gerald Ratto, Stan Zrnich, Pat Harris, Don Whyte, Lee Blodget, Fred Hill, Helen Howell, Harold Zegart, Cameron Macauley, Stephen Goldstine, Bob Hollingsworth, Al Richter and Leonard Zielaskewitz. 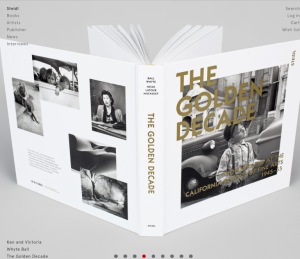 The Figurehead Gallery in Downtown Livermore is pleased to present an exhibit of photographs of the first students of the Photography Department at the California School of Fine Arts, now the San Francisco Art Institute. 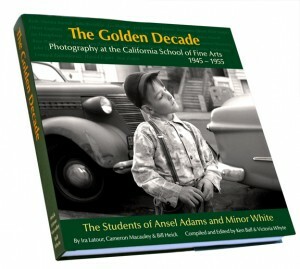 Founded by Ansel Adams, directed by Minor White, and staffed by such luminaries as Ansel Adams, Imogen Cunningham, Dorothea Lange, Lisette Model, and Edward Weston, the first photography department in the US to teach creative photography as a full-time profession began in 1945 at the California School of Fine Art, now the San Francisco Art Institute. 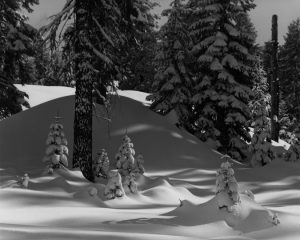 The importance of the school and its influence, not only on West Coast Photography but on photography as a whole, has been far-reaching, lasting well into the 21st century. 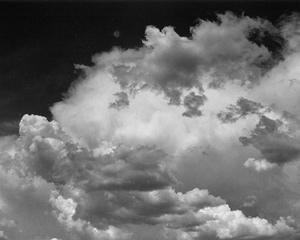 Along with approximately 100 former student’s vintage and modern photographic prints, also on view will be several vintage prints by Ansel Adams on loan from his granddaughter, Sylvia Desin. Several of the photographers, now in their 80’s and 90’s, will be in attendance as well as many family members of the photographers who have passed away. 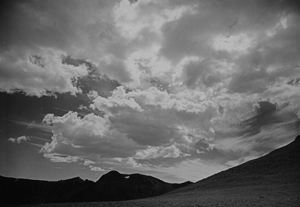 David Leland Hyde will include his father Philip Hyde’s vintage and more recent color photographs in the exhibition. 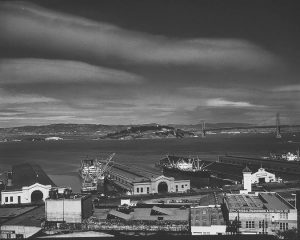 Ken Ball and Victoria Whyte Ball, daughter of Philip Hyde’s classmate Don Whyte, opened the Figurehead Gallery to honor her father and the other photographers of the Golden Decade and to showcase local art from the East Bay Area.